Back in 1962, Herb Alpert contacted Julius Wechter to play on his first Tijuana Brass recording, "The Lonely Bull". Julius hardly knew Herb at the time, and was paid $15 for his session. Shortly thereafter, this chance meeting turned into a successful recording career. 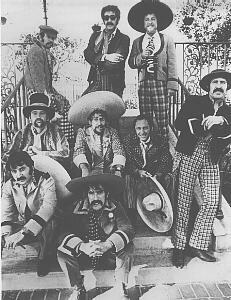 Hot on the success of the first Tijuana Brass albums, Julius Wechter was offered the chance to record his own music on the newly-formed A&M Records. 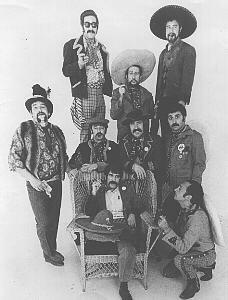 His creation was the Baja Marimba Band, which went on to record eleven original albums for A&M Records throughout the 1960's and tour America with Herb and his Tijuana Brass organization. While the first Baja albums were rooted heavily in Mexican soundscapes (even more so than Tijuana Brass recordings), the music evolved into jazz, MOR, samba, dixieland and even novelty settings. 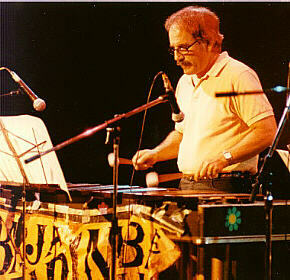 Above all, Wechter's virtuoso marimba and vibraphone playing would be the highlight of each song he would record. Before his success with the Baja Marimba Band, Julius Wechter was already considered one of the leading studio musicians on the West Coast. Beside recording his first album in 1959, Linear Sketches, he also played and recorded with Martin Denny on several albums. He's also played at sessions with such notables as Frank Sinatra, Jan & Dean, and The Ventures, among others. Unknown to many, Wechter's marimbas were featured on many Tijuana Brass recordings, unbilled, as well as appearing on various other A&M artists' albums throughout the 1960's. 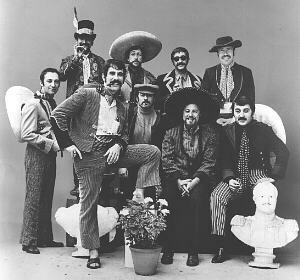 And his songwriting was also an integral element of both the Baja Marimba and Tijuana Brass sounds--he would compose many memorable tunes during his tenure with A&M Records. CD AVAILABILITY (updated 4/29/2002): It appears the drought of domestic Baja Marimba Band CDs has ended! Collector's Choice has a nice single-CD compilation available, and Timeless Music has a three-CD, 36-track compilation that contains some choice album tracks. As for other CD releases, the first album, Baja Marimba Band, was briefly reissued in Japan many years ago. Still available from Japan is the Digitally Remastered Best compilation. Full details available on CD reissues available on Page 4 of our discography. Everything else is available only on the band's original LPs and tapes. Some titles, such as Heads Up!, Greatest Hits and Fowl Play are easily found; others, like the final A&M album As Time Goes By, and the non-A&M album Naturally, are rarities.